For as little as $3700, you could have the smile of your dreams with Invisalign®. Invisalign is a clear, comfortable alternative to metal braces with the same end result—having a smile you can’t wait to show off. Invisalign® aligners are removable, so brushing, flossing and eating are much easier. The aligners are also clear and practically invisible, unlike clunky metal braces. The price and length of treatment depend on the severity of the case. If only a few teeth require correction, the price could be as low as $3700 and treatment time as short as three months. If the majority of the teeth require straightening, the price varies from $3000-$4900 and treatment can last up to a year or slightly longer. Invisalign® can correct both bite alignment and crooked teeth, just like metal braces. In many cases, Invisalign® can also help you correct your smile in less time than traditional braces. Being self-conscious about your smile is not enjoyable and now, with the ease and comfort of Invisalign, it is unnecessary. In just a few months you could be on your way to an incredible smile that you’ll be proud of. If you are interested in receiving Invisalign® treatment, the experts at the Friedman Dental Group are equipped to help you. The first step is to schedule a consultation, where your smile will be evaluated. At this consultation you will also be able to discuss any questions and goals you may have with the doctor. After your initial appointment, you will return to the office only to discuss your treatment plan and, upon your third visit, to receive your aligners! Once you start wearing your aligners you will only have to come to the office every six weeks for a check-up. After your treatment is complete, you will be provided with retainers to ensure that your teeth do not move back after you stop wearing your aligners. If you want a perfect smile in less time, for less money, and with less pain, Invisalign is right for you. Schedule your consultation with the Freidman Dental Group today! Invisalign has become the most advanced clear aligner in the world. Why? Because clear aligners are comfortable, convenient and discreet. In most cases heavy metals such as braces are not necessary to straighten your teeth efficiently. The invisalign treatment is fairly simple. 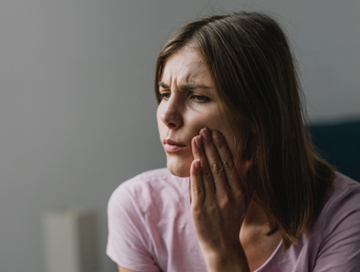 After a thorough analysis of your smile and bite, we will be able to show you what your smile will most probably look like at the end of the treatment. In most cases, the treatment is faster than conventional metal braces. The results are consistently showing effectiveness due to the improve control of tooth movement. The fit of the aligners is custom made and made out of SmartTrack® material. The aligners are easy to put on and off and are very comfortable. Invisalign can treat a wide range of conditions including crowding or lack of space, open bites, overbites, under bites, gaps, cross bites, etc. The aligners are removable, clear and easy to wear. They are virtually invisible and it allows you to continue doing all the things you normally would, from flossing and brushing to eating whatever you like. Invisalign allows you to switch aligners in the comfort of your home without having to come to the office. We will give you all the aligners you need for a 6 weeks period. You will only need to visit our office every 6 weeks. At your initial consultation, you will have a one on one discussion and thorough evaluation with the doctor. We will evaluate your orthodontic needs and discuss what your goals are. We might take impressions of your teeth during that visit. At your second visit we will present you with a customized treatment plan and discuss approximate length of treatment and the precise movements of the teeth with a 3D digital image. We will give you your aligners and instructions on when and how to wear them. Once your treatment is complete, you will receive Vivera® retainers so that your teeth always stay in the same position.